If you’ve just moved to the small unincorporated town of Colerain, Ohio, it is likely that you’ve moved out there to really get away from it all. Located in the northern part of Ohio, Colerain has its own post office, but doesn’t offer much of anything else unless it is residential. It is perfect for those that want to enjoy peace and quiet, yet still be close to the city of Cincinnati. Whatever reason you’ve chosen Colerain, you don’t have time to let a toothache get in the way. With Cincinnati being the closest large city, you’re going to have a lot of options when it comes to your dental care. From pediatric to oral surgeons and cosmetic dentists, there are a large number of dental offices for you to choose from. 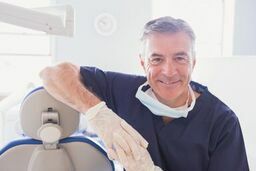 Emergencydentistsusa.com has created a list of these offices with their hours and some of their services in order to make finding a dentist a breeze. If you’d rather not use the website, you can call our toll free number and a customer service agent will be glad to do the work for you. If you decide to use our toll free number, a friendly agent can even help book your first appointment and provide you with the directions to the dentist office of your choice. Once your appointment is booked, make sure to arrive to it at least 15 to 20 minutes ahead of time as you would any other appointment so you can fill out the new patient paperwork. Also be sure to bring with you a valid ID, your insurance card, any copay, a list of your current medications, and a list of anything you are allergic to. With Cincinnati being such a large city, you’re going to have a lot of dentist offices to choose from. Most patients start out at a general dentist office then get referred to whatever type of specialist they may need to see. If you are experiencing a lot of pain, you may need to request a walk-in dentist where an appointment won’t be necessary or a dentist that is open later hours that will accommodate your schedule. Walk-in dental clinics – walk-in dental clinics offer dental visits without the hassle of making an appointment or waiting days or weeks to see the dentist. Emergency 24-Hour Dental Clinics – this type of dental clinic has a dentist available 24-hours per day and seven days per week. After Hour Dentists – an after hour dental clinic offers services outside of the standard 9 a.m. to 5 p.m. office hours. After hour dental clinics often include weekend or evening appointments. Description: Offering 24-hour care, 7 days per week, the staff at ImmediaDent – Urgent Dental Care understands that tooth pain is not something that can wait. For those without insurance, they even offer promotions when you visit their website. This office even caters to general dentistry and offers regular cleanings. Doctors: Dr. Pooja Mirsa, D.D.S. Description: Offering advanced technology, Colerain Advanced Dental Care provides modern treatment solutions to their patients. They specialize in cosmetic and restorative options and like to see all of their patients with a healthy smile. With extended hours, they strive to meet the busy schedules of each of their clients. Description: Cincinnati Dental Services offers patients a multitude of services including restorative, preventive, and pediatric. They accept a variety of health insurances and will even accept patients without insurance and offer them promotional discounts so they can maintain a healthy smile. With more than 10 doctors to choose from, it’s easy to get a quick appointment. If you’re faced with a toothache that has a stabbing pain or is throbbing, don’t delay on going to the dentist. Unless you have had some time of injury, it is likely that this pain in your tooth has been building up for some time, but hasn’t been severe enough for you to feel it. If you have been in an accident such as a sports fall or injury, then you’ll need to go to Urgent Care or the ER before proceeding to the dentist so they can make sure there are no broken bones and that you don’t have a concussion. Once you’ve been cleared there, you can then proceed to the dentist. Any time you’re going to a new dentist, make sure to check their credentials to be sure that they are up to date. You can do this by checking the Ohio Dental Association. You also have the option of waiting until you go to your appointment and asking to see it when you go in.